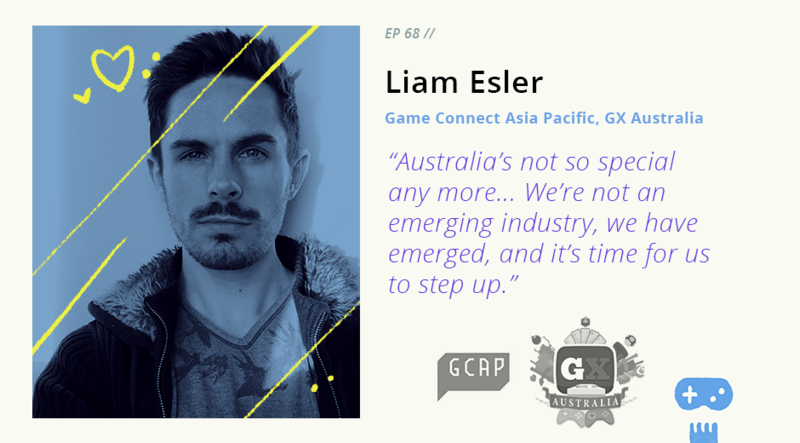 This week brings to a close our episodes recorded during Game Connect Asia Pacific (GCAP) 2017, with none other than the departing organiser of the event, Liam Esler. Liam is a bizdev, narrative, and production specialist about to dive into the terrifying world of entrepreneurship. He was formerly the Event Manager for GCAP, and co-founder of GX Australia. Join our host Jason Imms as he and Liam discuss what GCAP has become and where it came from, and how it was both shaped by, and itself shapes the Australian games industry and community.